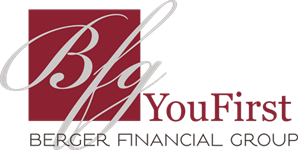 Berger Financial Group is a full-service financial firm located in Plymouth, Minnesota. Our dedicated team of experienced and credentialed professionals possess the qualifications necessary to help you reach your goals, and the genuine care to guide with you on your wealth journey. As your financial advocate, we will do everything in our power to keep you focused on where you want to go, advise you on how to get there, and help you maintain a disciplined approach along the way. Offering financial planning, income tax, and portfolio management all under one roof by our advisors, Berger Financial Group aims to simplify the complexities of your personal and professional financial life. Our team-based approach emphasizes streamlined collaboration between our staff in-house, as well as with outside professionals. Allow us to help free you from the worry and stress that accompanies your wealth. In our capable and caring hands, your money will be working in constant pursuit of your goals, so you can focus on what matters most to you, your family, and your business.